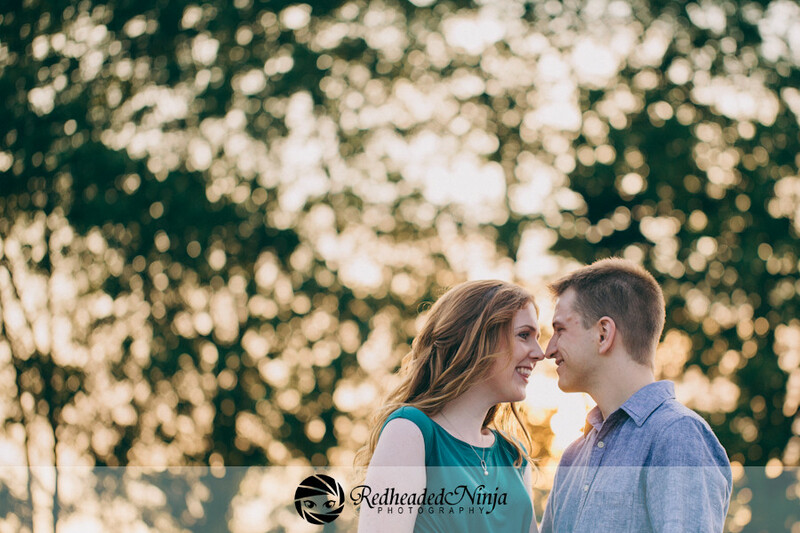 This past Thursday Josh and I had something super exciting on our to-do list. We were getting our engagement photos done! 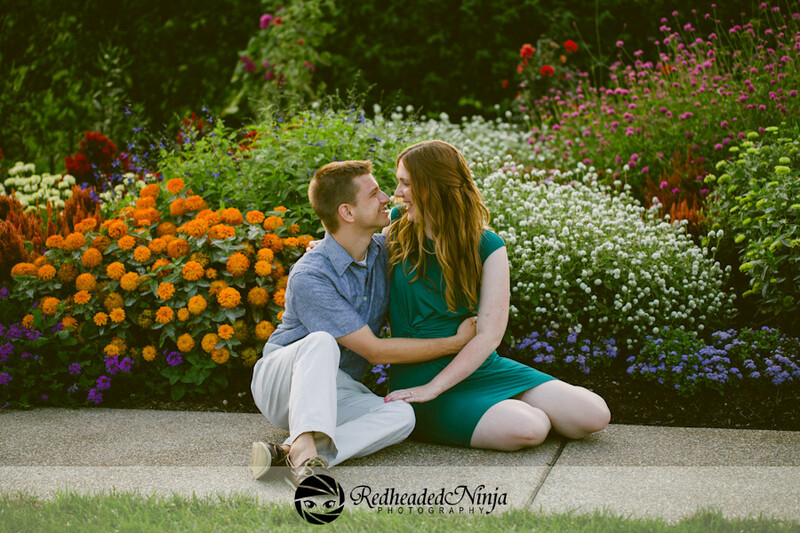 Our wedding photographer is Michelle Grove, aka Redheaded Ninja. We met a few weeks ago over vegetarian meals at Ottos. I knew right away that she was pretty awesome, not only is her work phenomenal but she’s a fellow red-headed vegetarian. 😀 Josh and I want to send out our Save the Dates early since 90% of our wedding guests will be traveling over three hours to get here. And since our wedding is on a holiday weekend we want to make sure people know when we’re getting married before they make 4th of July plans. 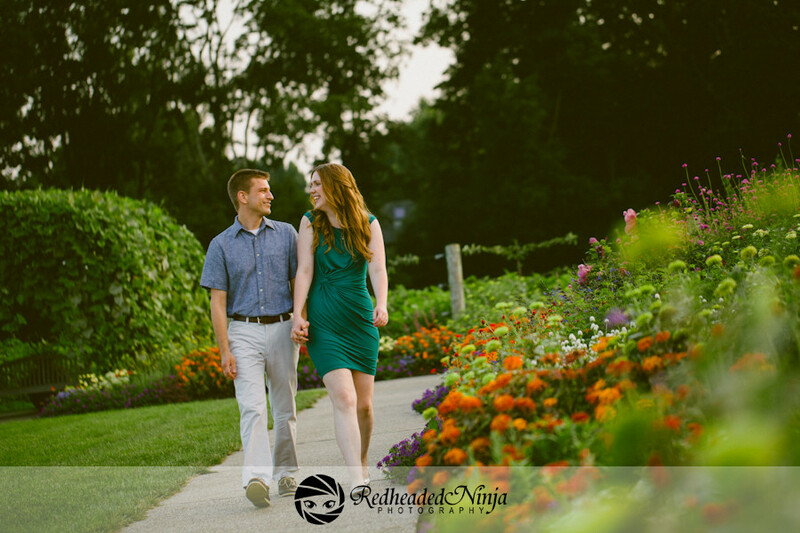 So on Thursday at 7pm Josh and I met up with Michelle at the Arboretum in State College for photos. 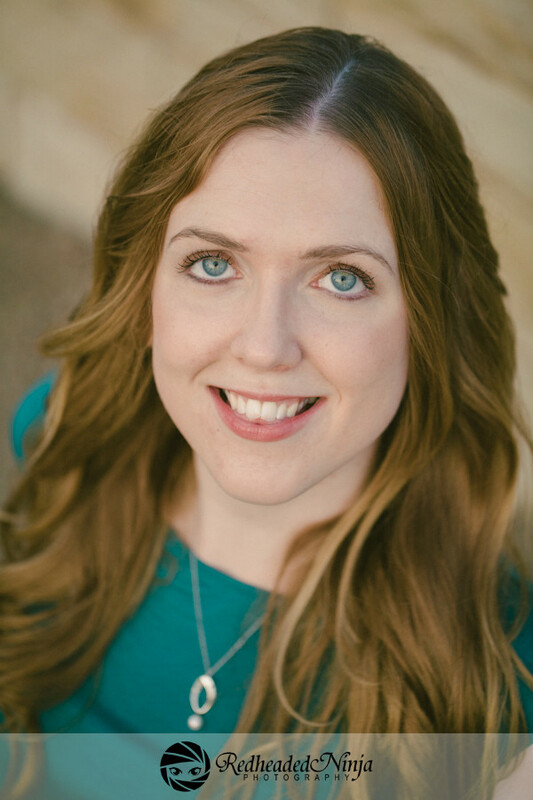 I had never had professional photos done before so I was so excited and so nervous. I was so excited for beautiful photos but was so nervous that I would look bad in them or stand awkwardly or something. I’ve never been particularly photogenic. ;p I decided that I was going to try and look as nice as possible by buying a new outfit and getting my hair and makeup done for the photos. While I could have shopped my closet and done my own hair and makeup professional photos are not something that happen every day and I wanted to make sure I looked and felt my best. A week before the photo shoot I went to TJMaxx to look for dresses and found the most adorable BCBG blue wraparound dress that reminded me a lot of Kate Middleton’s engagement dress. Even better was the price, it was originally $100 and I got it for $29! I love the great deals you can find at TJMaxx if you just take the time to look. The day of the photo session I headed over to the mall around 2pm to get my makeup done at the Clinique counter at Macys. Brooke, the Clinique makeup artist, was phenomenal and picked out colors that were best for my skin tone and features. She wrote down all the products she used on me so that I can buy them to have for day-to-day use. Josh’s mom, Debbie, was really smart and recommended I buy the lipstick Brooke used on me that day so I could reapply it right before the photo shoot. While the rest of the makeup was perfectly intact hours later for the shoot the lipstick had come off from eating and talking. It hadn’t even occurred to me that that might happen so I’m so thankful she thought of that. My makeup took about an hour and after that it was time to get my hair done. I went downtown to Lipstick. I always loved the name and look of the place when Josh and I would walk by it and now that it is under new management and has all new stylists I was really excited to try it out. For the wedding I plan on having my hair up to keep it off my neck and so that it stays nice while I dance. Because it will be up then I really wanted photos where my hair is down and thought the engagement shoot session would be the perfect opportunity. I had Lipstick curl my hair all over and then pull some of it back to give it added volume. The owner of the salon was amazing and so nice and funny to talk with while she did my hair. She did a fabulous job and made sure the curls stayed put, she must have used a can of hairspray on my hair! Lipstick also does makeup and nails for bridal parties. I’m pretty sure we’re going to be using them the day of the wedding to get myself and all the bridesmaids made over. My hair was done right around 5:45pm, which gave me just enough time to head home and eat the amazing Fasta dinner Josh prepared for the two of us before the photo shoot. After that it was time to get changed into our outfits and meet up with Michelle! I had a minor snafu that made us run a few minutes late. I learned a big lesson involving deodorant: NEVER put on deodorant and then put on your dress. It is a surefire way to cover the outside of your dress in deodorant, that you your significant other then has to frantically try and dab and wipe off. Thankfully most of it came off and the rest of it didn’t show up in pictures. And speaking of the photos, lets get to the good stuff! It’s photo time! 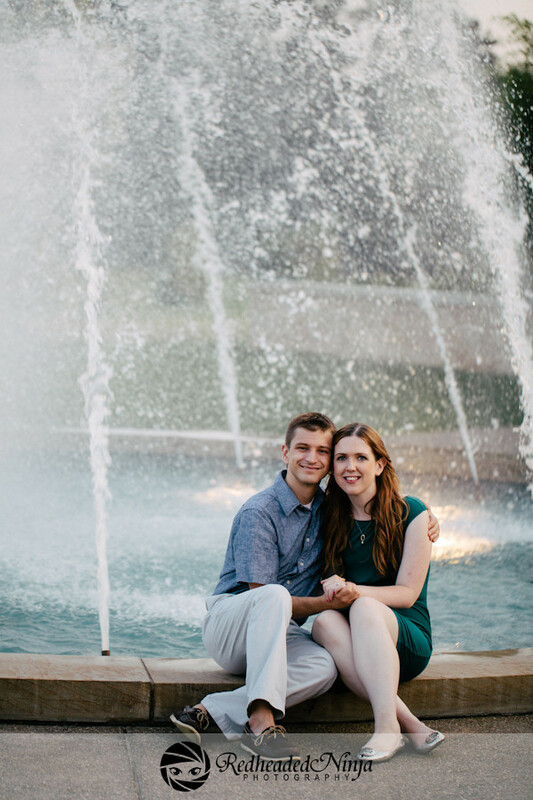 We have no idea how we’re going to pick just one for our Save The Dates! 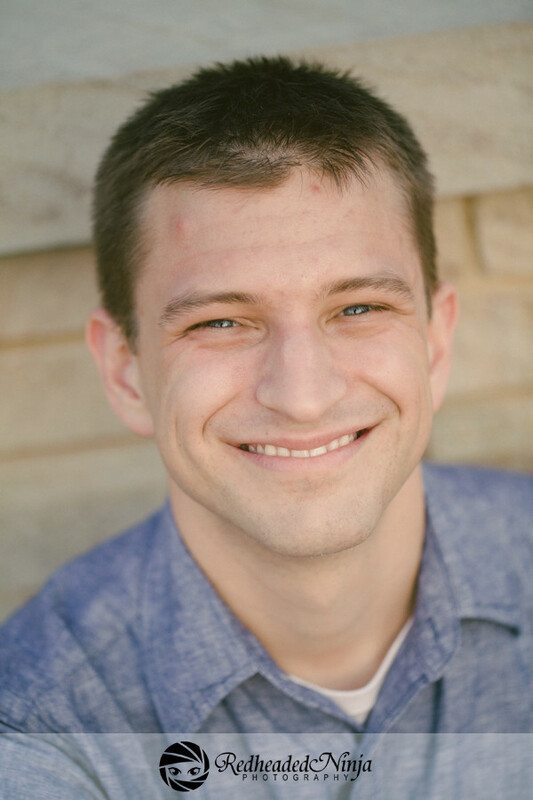 If you are in the State College area and are looking for a photographer I cannot recommend Michelle enough. To say she is talented is the biggest understatement. She is phenomenal and is blessed with a true gift. 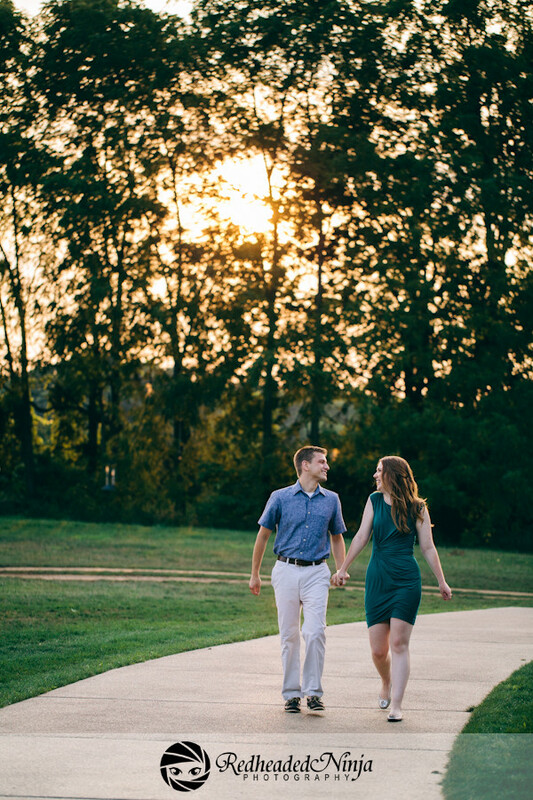 These photos made Josh and I even more excited for our wedding than we already were, which we didn’t think was possible! 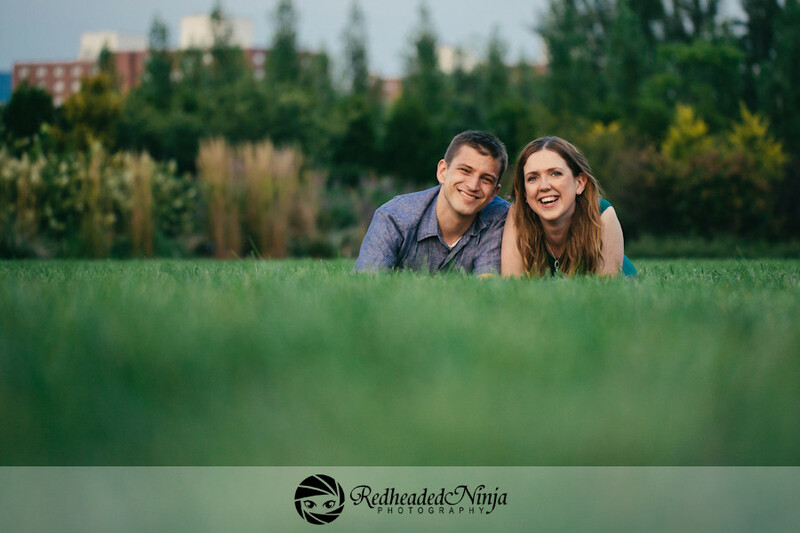 Question of the Day: Which photo do you think would make the best Save the Date photo? 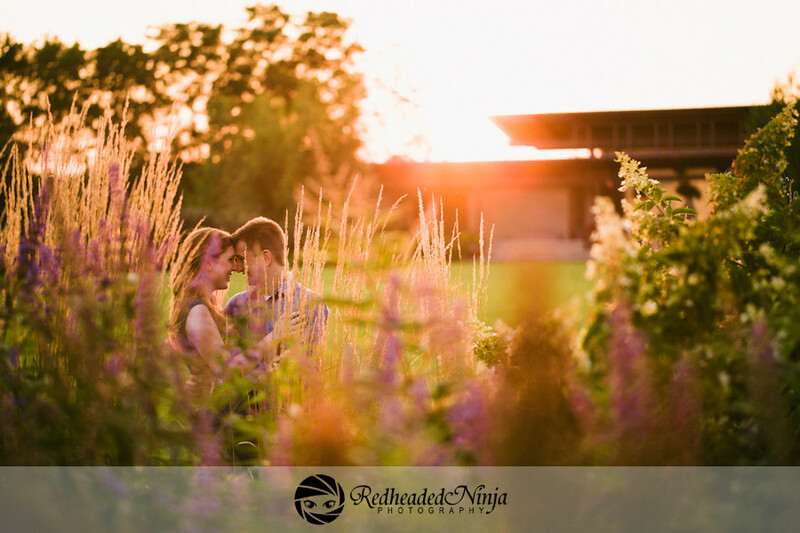 I really love the sunset one where you’re both behind the flowers looking into each others eyes. So pretty! Beautiful! I especially love the ones with the evening sunlight! So happy for you! Thank you so much! 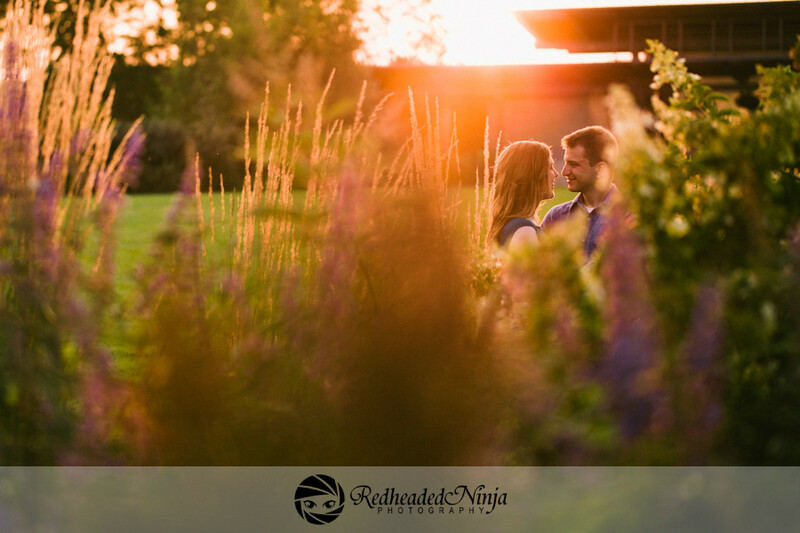 We had so much fun and I love how Michelle captured all the light so well and so differently each time! I like best the one of you two facing the camera while lying on the grass. It’s one of the 2 where you’re both facing the camera. People who haven’t seen you in a long time will want to see your faces. Thank you so much! That is such a good point I hadn’t even thought about! love the one near the top where you’re looking at each other and your noses are almost touching. and the very last one! SO SO SO SO SO SO SWEET. Thank you so much! We really really are! beautiful beautiful photos!!! love the dress you choose. any of those would make great save the date cards! Aw thank you so much! I really lucked out in finding the dress at TJMaxx last minute! Aw thank you so much, this was really sweet! Josh makes me so happy! I hope you are having a wonderful day! I love the 4th picture from the top. You look amazing! Beautiful couple. Beautiful photos. Definitely going to be hard to choose! It really really is! haha Thank you so much! Gorgeous! Your photographer is so talented!! I love all of them, but especially the one of you guys behind the flowers! She is freaking phenomenal!! From looking at her blog online I knew she was amazingly talented but I never knew she could make Josh and I look like that in photos. We feel so lucky to have her for our photographer! I love the 4th picture from the top and the last one, but they all look great! How exciting! How beautiful! How sweet! I love the pics! I think the dress you chose was perfect and a very pretty color on you! Aww Katie this was so sweet! Thank you so much! I am in love with the photos and feel so lucky I found that dress literally days before the shoot! I hope you’re having a great day! These are all beautiful, but my favorite is the one of you two laughing! 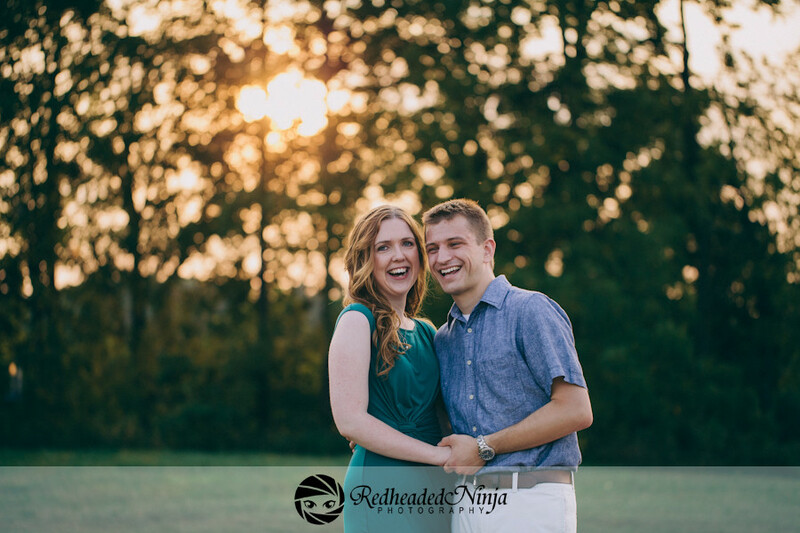 I love candid moments =) Best wishes in your wedding planning and in a lifetime full of love and happiness! Oh too many good ones!! I love the fourth and last photo! Thank you!! We are so happy with how they turned out! Aw you’re so sweet! Thank you so much!! So beautiful! I love the 2nd from the bottom for the Save the Date. The second grass shot…there is plenty of space beneath you for adding text! Aw I really like that idea, thank you so much! These are so beautiful!!! It certainly will be hard to choose! Thank you so much! I know, I love them all! I love the last one! the sunset and the colors…. *swoon* so beautiful! beautiful photos – picking 1 would be SO hard! Aw thank you! I know, we’re having such a tough time! 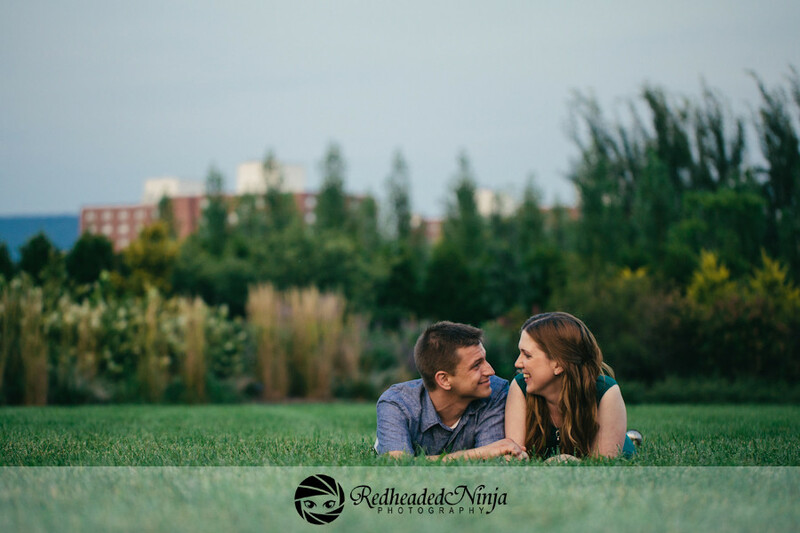 All of your engagement photos are so beautiful! 🙂 My favorite is the one that looks like you are eskimo kissing! Aww thank you so much Abby! We were amazed at how well they came out! 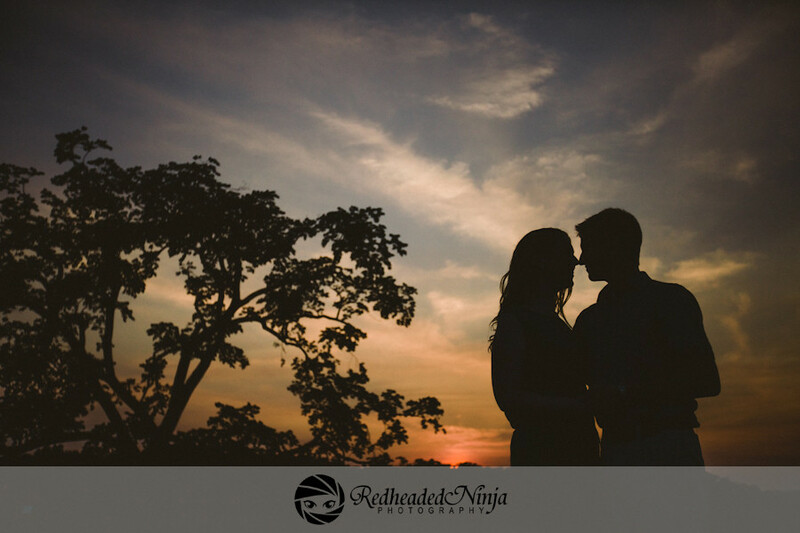 Our photographer rocks!